Fresh produce in the summer and early fall months is celebrated at the Valpo Farmer’s Market in Downtown Valparaiso, Indiana. 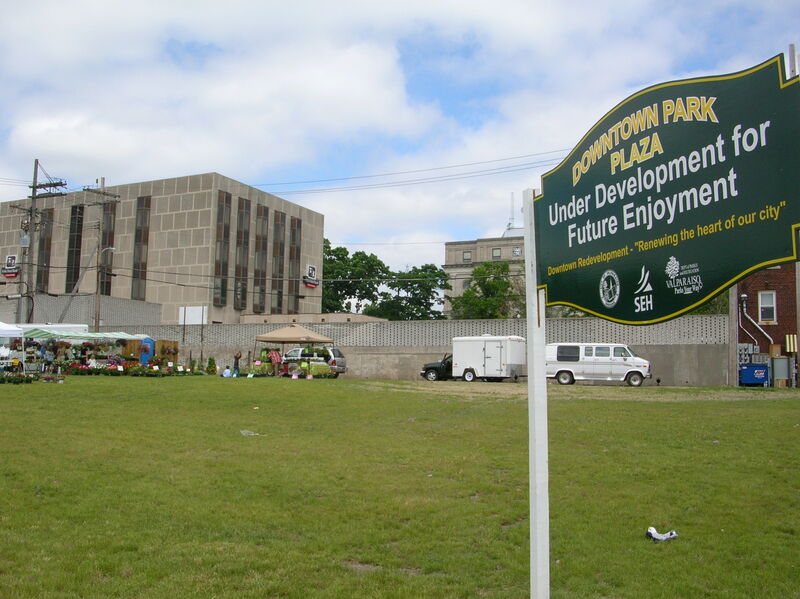 Located at the intersection of Indiana and Lafayette Streets, the Central Park Plaza Market offers fresh fruit and vegetables, baked goods, cheeses, sweet treats, fresh flowers, and more. The market is open June thru October on Tuesdays from 8am-5pm and Saturdays from 8am-2pm. rTrail Collective Edge is also hosting optional art project workshops on select Saturdays from 10am-2pm and prices run from $10-$15 per participant. The Valparaiso Downtown Dining Association will also be preparing tasty foods every week. This event is a great opportunity to buy local from our local farmers and support our local businesses in the heart of Porter County. For more information on the market or other events, check out site www.valparaisoevents.com . The annual Valpo Taste 5 Festival brings together great food samples, beer, and live music to kick off the summer event season. 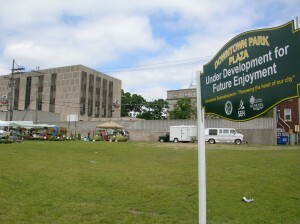 The 2010 event is to be held June 5 from 12 noon- 9 pm at Downtown Valparaiso’s Central Park Plaza. Host restaurants include Bon Femme Cafe, Don Quixote, Paparazzi, and Pikk’s Tavern, as well as Bistro 157. Bands will provide the musical attraction with blues, funk, and popular music. Inflatable rides will be setup for the kids. Taste 5 is always a welcome start of the summer festival season in our hometown of Valpo. Getting to Chicago’s Loop from Northwest Indiana is rather convenient and affordable. The City of Valparaiso has four new buses built by Motor Coach that can transport up to 53 passengers each, and offer such features as on-board WIFI, satellite TV, and bathrooms. They even offer the updated safety of seatbelts and security cameras. According to the City of Valparaiso’s website at www.chicagodash.com riders can catch the bus at 58 S. Campbell Street. Commuters can catch the bus in the morning hours from 6:00am to 7:15am, and begin the return trip from Chicago between 4:10pm and 5:55pm. The 2010 round-trip ticket price is just $15, and one-way, 10 ride and monthly passes are also available. Please consult the schedule at www.chicagodash.com/schedule/schedule.htm for the most up-to-date ChicaGo Dash bus schedule. Valparaiso High School’s official school colors are white and kelly green. And these are the colors that the area’s outdoors offers with the change of seasons. Located at the southern shore of Lake Michigan, the Greater Valpo area is affected by the flow of moisture off the lake, especially during wind events from the north. In the wintertime, before Lake Michigan freezes, winds from the north pick up moisture and spread it across the area, sometimes in the form of heavy snow bands. While these bands hit a narrow path, they sometimes drop large amounts of snow, creating a winter wonderland. Winter sports, made famous by the South Shore Railroad poster featuring a lady skier on the Dunes, are plentiful. 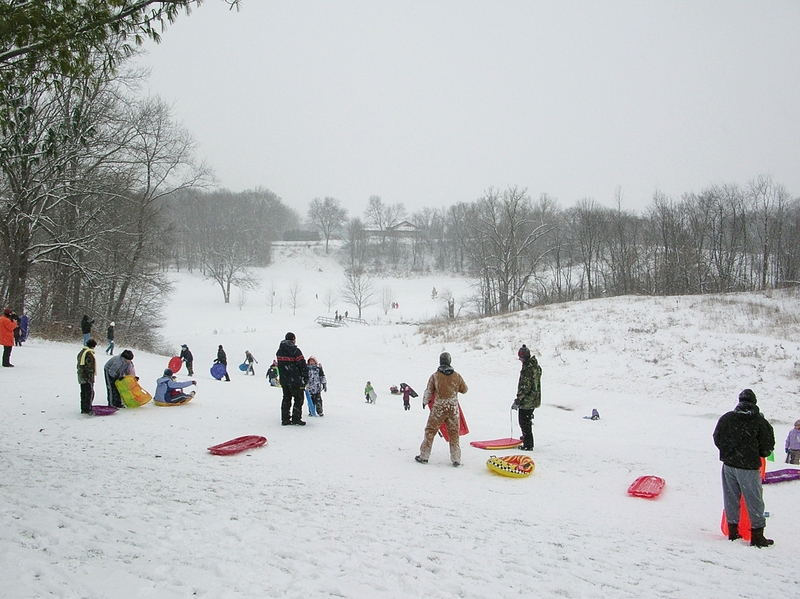 From snowmobiling to sledding to ice skating and cross country skiing, winter activities are plentiful when the snow piles up. As the snow melts, the moisture supplies the ground with moisture for the coming spring, which helps turn Northwest Indiana into an emerald oasis, with lush, green hardwood forests and fertile farmland. 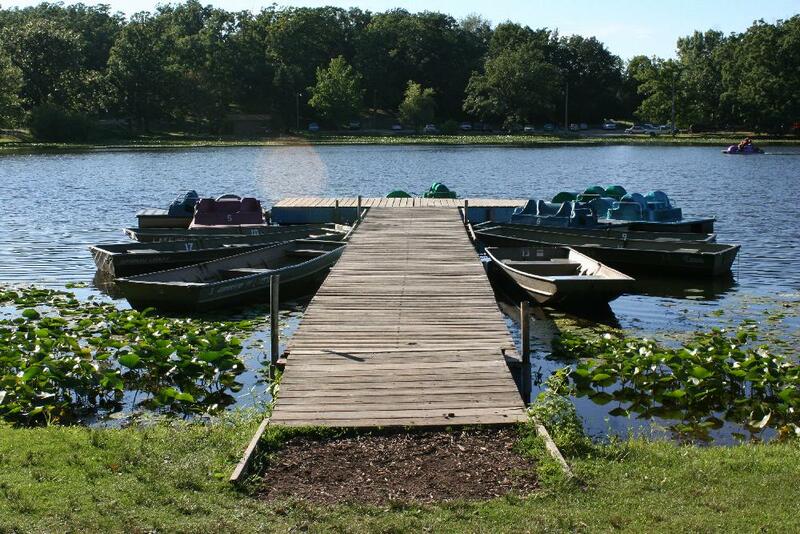 An area with many inland lakes, fishing opportunities are good. Bass, bluegill, sunfish, crappie, catfish and perch are frequently found in local waters. The Great Lakes also hold larger sportfish like trout. As the waters warm into the summertime, local residents and visitors enjoy boating, sailing, and water skiing. Shorelines in the area are lined with beaches. Popular areas include the nearby Indiana Dunes and National Lakeshore and Rogers-Lakewood Park in Valparaiso. Boating is also enjoyed at Lake Maxinkuckee, Bass Lake, and Lake Schaeffer among others. Shorewood Forest, located on the city’s west side, is a lakeside community with many large estate-style waterfront properties. Home owners in Shorewood can waterski, fish and swim from their backyard. The plentiful moisture supports the greening of fairways and greens, creating some wonderful golfing in the area. The City of Valparaiso offers public golfing at Forest Park Golf Course and Creekside Golf Course, the latter of which also serves as an official youth and adult training center. Aberdeen offers links-style golf on the near south side of Valpo, and the northside offers the tradition of the Valparaiso Country Club. So while lake effect snow may create an inconvenience at times with heavy snow on local roads, it also brings recreational fun and replenishing moisture that jump-starts the spring growing season and turns the fields and forests green. 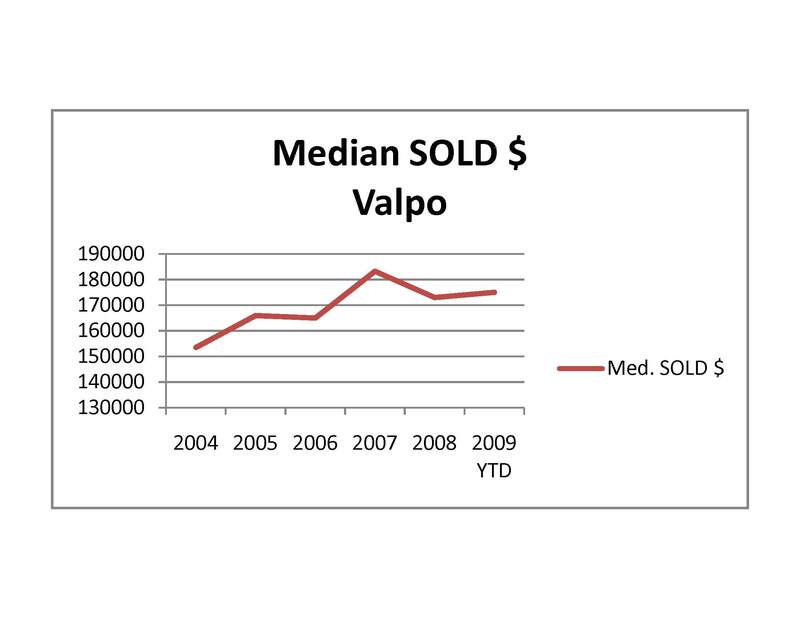 Great news for the Valparaiso Indiana home market. According to reports generated from the Greater Northwest Indiana Association of Realtors (GNIAR) MLS, the residential home market appears to be strengthening and showing a solid core of homes retaining or adding value. 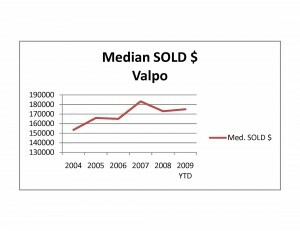 The median house price rose again to $175,000 in 2009 in Valpo, continuing a strong trend over the last six years. Cities across the country with a strong base of long time residents, core businesses, and higher education opportunities are reporting similar findings. Unit sales of residential homes did drop slightly to 762 units for 2009 as the national economy was sluggish and lending challenges reduced employment continued. The market as a whole was supported by the government tax credits of $8,000 for homebuyers, and the new $6,500 home seller credit that continues thru mid 2010. November 2009 saw a huge increase of over 40% in sales in Porter County Indiana, partially attributed to the credits. Anchored by Valparaiso University and a strong primary and secondary education system, Valparaiso continues to be a city of choice for relocation from around the region, including Illinois’ Chicago suburbs. Residents enjoy a one hour commute on the skyway to Downtown Chicago, as well as good bus access on Chicago Dash and rail access via the South Shore railroad. 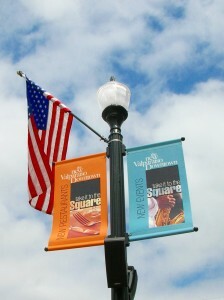 In August of 2009, the Indiana Chamber of Commerce awarded Valparaiso with the honorable distinction of Indiana Community of the Year for 2009. The actual award was presented in November of 2009. The Indiana Chamber cited many reasons, including Valpo’s public-private investment partnerships, strong public school and college education opportunities, and overall redevelopment. Officials also mention that taxes have remained the same. Valparaiso has made quite an investment in beautification of the many gateways with curb and gutter, sidewalks, bike paths, wayfinding and signage, and lighting improvements. Indiana Chamber president Kevin Brinegar referred to Valparaiso as a “regional destination” and a “shining example for all throughout the state”, while praising the efforts of Mayor Jon Costas, according to the Indiana Chamber of Commerce. We are so excited to launch our new site called Living in Valpo. Over the years, we hope to keep you up to date on topics related to living in a home in the City of Valparaiso in Northwest Indiana. Topics will include home market trends, relocation information and links, local gardening, neighborhood information, selling your home, decorating or staging your home, and real estate tips. On the recreation side, we’ll discuss places to play a round of golf, local swimming areas, interesting events, and more! And we’ll even highlight local businesses from time to time, like our favorite coffee shops, dinner places, and more. Thanks for visiting. We hope you stop by regularly. And welcome to Valparaiso, Indiana!